If you are looking to purchase services through a legal services plan provider, we encourage you to contact one of our members listed below and let them know that you found their services through GLSA. 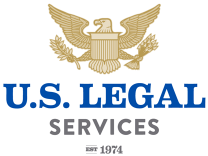 The Group Legal Services Association does not endorse or recommend any prepaid or group legal service plan. This partial listing of organizations offering prepaid and group legal service plans was compiled from information furnished by the listed organizations and is produced solely to provide information to groups and individuals.